French Minister of State for Digital Affairs Axelle Lemaire was in London on 29 October, for the first foreign edition of the "French Tech Digital Thursdays". 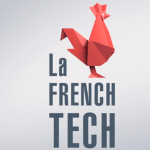 The event – which is aimed at bringing together innovative French start-ups and foreign investors – has already taken place in France 8 times over the past 13 months, showcasing the development of several French digital ecosystems. London constitutes the first stage of an international cycle of events, which aims at spreading the word that the French market is growing fast, is innovation-friendly and offers numerous young talents. The event was held at the French Residence and was a good opportunity for Axelle Lemaire to meet a number of promising French start-ups. Seven fast-developping start-ups presented their story, their activities and the next objectives they were aiming at reaching. Among them : Videdressing (an online platform to buy and sell fashion items), Mozoo (a mobile marketing company), and Plume Labs (an app that collects data about air pollution around the world). All the start-ups worked in very different fields, but they all shared an interest for the British market and fundraising opportunities. On the audience side: journalists and young entrepreneurs, but also investors, looking for innovative projects. Axelle Lemaire underlined the French government’s commitment to building a national network of digital start-ups. She reminded the meeting of the government initiatives aimed at helping the start-ups, like tax incentives for young innovative companies including the "crédit d’impôt recherche", which reduces taxation on research and development expenses. The Minister emphasized the necessity for France and Great-Britain to collaborate more on digital matters and concluded : "It will be very important to build good relationship between Tech City and French Tech".